different treaties had guaranteed that the Utes would occupy Western Colorado for "as long as the grass grows." 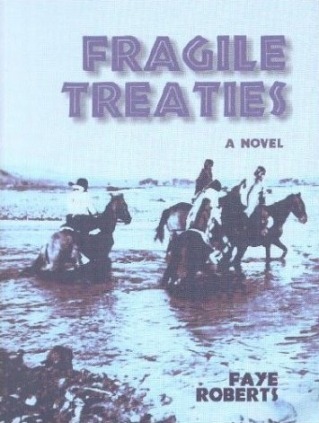 Fragile treaties tells the story of the forced exodus of the Utes, from the point of view of Colonel Samuel Bodeen, his wife Lily, and their friends Ute Chief Ouray and his wife Chipeta. The story is about promises broken, betrayal, greed and deceit. But is also about forgiveness and the bond between people of two very different cultures. award-winning writer, Roberts has had articles published in a number of national magazines. This is her second book. Paperback, c2001, 330 p. ; 15 cm.